The need for a structured, process-driven approach to conversion optimization (CRO) cannot be stressed enough. A structured CRO program is essential to deliver consistent and repeatable improvement in conversion rate and user experience (UX). Only a few organizations and agencies have adopted this approach to optimizing conversions; even fewer have been able to master it. Kula Partners is one such agency that has actively practiced and advocated a structured CRO program. This story aims to highlight the optimization process followed by Kula Partners and how VWO helped it achieve success at each step of the process. Based out of Nova Scotia, Canada, Kula Partners is a certified partner with VWO, offering services such as conversion optimization, inbound marketing, and web development. While optimizing conversions for its clients, Jeff White, Principal at Kula Partners, discovered that following a rigorous optimization process is what leads to success. The optimization process at Kula begins with identifying optimization opportunities on a client’s website or landing pages. It is done by closely analyzing website data and user behavior, using a variety of tools. Next, it hypothesizes ways to capitalize on each optimization opportunity. Hypotheses are then prioritized based on a few factors such as potential of improvement and effort in implementation. The hypotheses undergo A/B tests for validation, per its priority list. 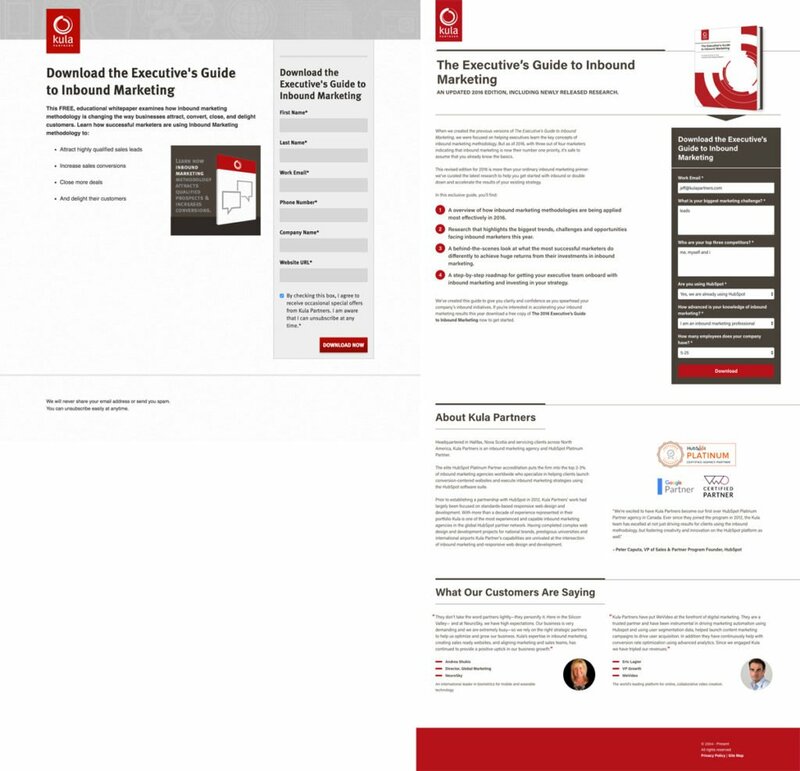 The results of A/B tests are thoroughly examined, and the learning is documented in a common knowledge repository. This repository is used to generate more hypotheses to optimize the website further. The cycle continues. As Jeff puts it, “Optimizing a client’s site for conversion always starts for us with listening. We begin by implementing VWO heatmaps, clickmaps, and visitor recordings to see how people are using a site. Combined with analytics from tools such as Google Analytics and HubSpot, we’ll look for the pages that have the biggest opportunities for conversion optimization based on total number of visits and current conversion rates. Once we have a good understanding of how people are using those pages, we’ll implement a series of tests to see how best to improve the conversion rate. Sometimes this takes the form of simple changes to the body copy, button position and format. In other cases, it may mean making much larger bets and designing a wholly different, alternative landing page. Since 2014, Kula has been trusting VWO for its optimization strategy. It has been using new features as they come up to achieve better conversions for its client websites. Let’s talk about how Kula puts its well-defined process into practice. The first step in optimizing a website for more conversions is to establish baselines. This means setting up key metrics or goals that clearly indicate visitor actions and conducting quantitative analysis around these goals. Visitor actions leading to completion of a final goal (such as Checkout in case of eCommerce) are tracked as funnels. The website conversion funnel is extremely effective in spotting leaks—pages from which most users drop off. Kula uses robust tools such as Google Analytics and HubSpot to track key metrics and discover potential leaks. These tools also point to high-value pages on a website—the pages that attract the highest traffic and the pages that contribute to many conversions. After identifying potential leaks, the next step is to analyze how visitors are interacting with these pages on the website. This calls for a qualitative analysis of how visitors behave on the website. Such analysis provides significant insights about why visitors are behaving in a certain way. For example, if a lot of visitors are abandoning sessions on a eCommerce home page, a heatmap or visitor recording can be used to find out what category of products they were looking for and what specific problems they faced while searching for the product. Knowing what deters users from completing a conversion step is an opportunity for optimization. At Kula, the team takes help of VWO capabilities such as Heatmaps, Scrollmaps, Visitor Recordings, and Form Analysis to understand the usage habits of visitors. It also uses VWO On-page Surveys to directly ask visitors for feedback. 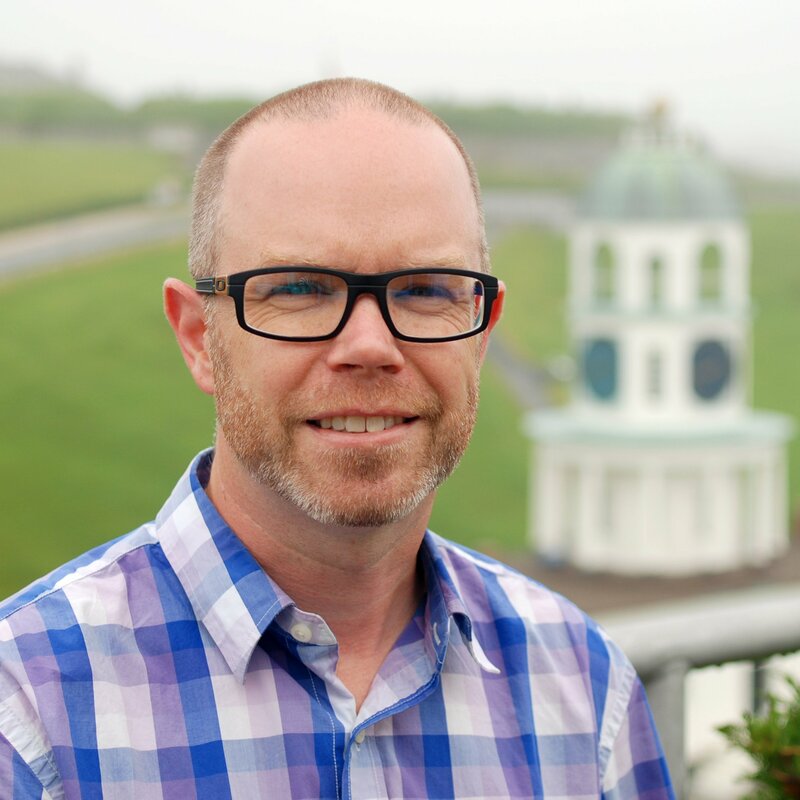 Kula Partners was working on optimizing the Halifax International Airport Authority (HIAA) website by highlighting information for airport visitors at the forefront: arrivals and departures, parking information, and directions. Although the new website saw major traffic increase (more than 300%), the team continued to scout for more optimization opportunities. 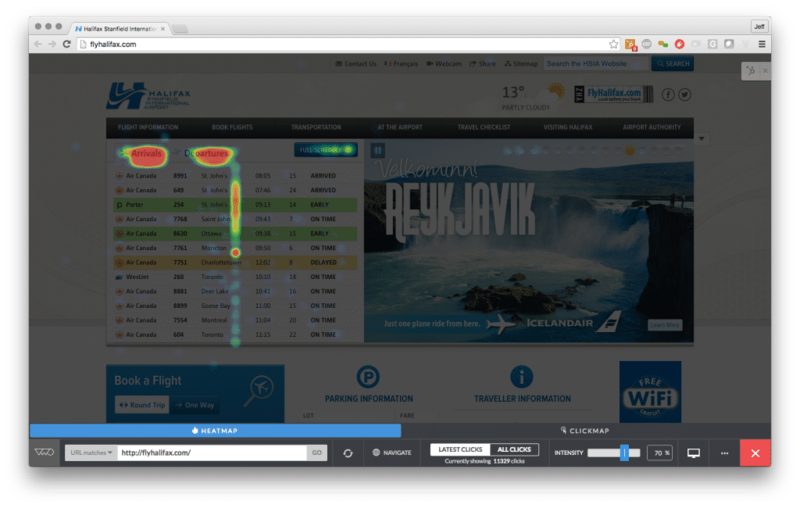 A heatmap report of the HIAA home page revealed interesting insights—68% of all clicks on the home page were on the Departures tab and only 6% clicked back to the Arrivals tab. Kula realized that this made perfect sense. Most of the traffic on the website home page would be coming to check when their flight is scheduled to depart. Far less people would look at the arrivals; they would do that only before receiving someone at the airport. Based on this insight, Kula decided to make Departures as the default view on the home page. As a result, it saw a 20% drop in the number of visitors that clicked the other tab, which was Arrivals in this case. This time, Kula was optimizing the website of Tirecraft—a company providing superior tires, wheels, accessories, and automotive services. 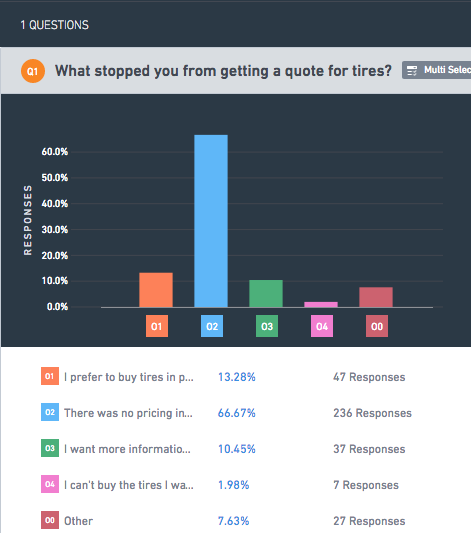 The objective in this case was to increase the number of quotes users submit on the website. I prefer to purchase this product in person. There was no pricing information available. I can’t buy the product I want online. The result of the survey highlighted the major pain points that users faced. Jeff shared an example of how Kula is using visitor recordings to help its clients. The insights and observations collected from quantitative and qualitative analyses act as fuel for the optimization engine. Our next key task is to manage this library of insights and build hypotheses for testing based on data insights. A typical hypothesis statement looks like: Based on the observation that visitors are abandoning cart because they can’t find security seals on the checkout page, I expect that adding security seals on the checkout page will address the trust issues for visitors not completing the purchase. There is a hypothesis aimed at addressing each optimization opportunity. Just as a thorough website analysis brings up multiple optimization opportunities, the hypotheses are also numerous. At most instances, it is not possible to validate all these hypotheses through A/B tests simultaneously. At that point, the hypotheses are prioritized on factors, including the potential to deliver positive results and ease of implementation. Prioritizing these hypotheses helps us pinpoint which tests to run first and which ones to park for future. The prioritization is usually implemented with the help of project management tools. “We record and detail our hypotheses for client tests using our project management tool, JIRA. We also maintain detailed notes about how to conduct tests and implement them in VWO, using Confluence, so that all Kula team members can quickly reference the correct processes.” explains Jeff. After the hypotheses are created and prioritized, it is time to test them. Testing a hypothesis helps you validate your thought process, and a winner assures the percentage of gain you’ll achieve by executing the change on the website. Based on the complexity of the change to be implemented, you should choose the type of test to run. For instance, it makes more sense to experiment with multivariate tests on websites with heavy traffic than on pages with low traffic. Jeff talks about his experience with testing while he was working with rest of the team on creating a new version of the website to match the new positioning. “We rolled out a version of the new layout for our HubSpot landing pages four months before we began designing the full site. The result was pretty solid—on our most popular asset landing page, we saw a conversion lift of nearly 10%. This gave us the confidence to deploy the design more widely. The last leg of the optimization journey focuses on analyzing how the test results tie to visitor behavior and on saving learning from this analysis for future optimization. A process-driven strategy for optimizing conversions is the key to long-term success. To run the optimization engine for long-term growth, businesses need to adopt a structured approach that generates insights and learning that to act as fuel for this engine. The optimization process begins with first putting the baselines in place and finding areas of potential leaks. Next comes an in-depth view of how the visitors are behaving, that is, qualitative research. This is followed by recording and prioritizing hypotheses, which are validated through structured A/B testing. Inspired by old-school marketing and contemporary products, Smriti is often found engrossed in classic fiction when she’s not busy managing product marketing for VWO. Nice post . Love to read it .